If you've created a multi-repo Workspace, ZenHub makes it easy to create a GitHub Milestone spanning several repositories. This eliminates the need to duplicate work or sync Milestones together. To get started, find the + beside the New Issue button. As long as the above two conditions are met, you can successfully merge Milestones before or after you connect repos. By default, when using the + button to create Milestones, all connected repos will be selected in the dropdown. If you want to create a Milestone in only a few of the connected repos, click on the dropdown and de-select the repos where you do not want the Milestone to appear. 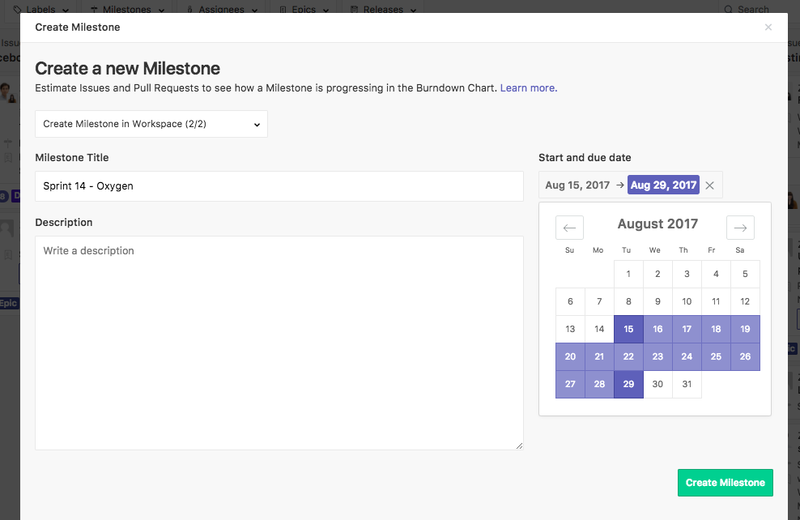 In the ZenHub web app teams can also create Milestones across connected workspaces using the Milestone page and selecting the New Milestone button. To bulk edit and close Milestones across connected workspaces, head to the ZenHub web app and navigate to your multi-repo Workspace. 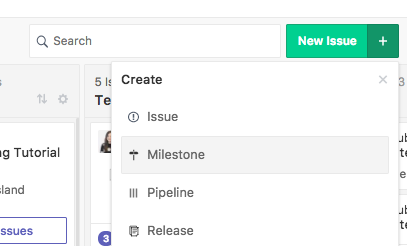 The Milestone page can be used to bulk edit and close open Milestones across connected repos. All open Milestones will appear on this page. Use the Edit Milestone or Close Milestone buttons make bulk changes. Once Milestones get closed in bulk they cannot be re-opened in bulk. To re-open connected Milestones, head to the specific repository where the Milestone is located and use the re-open Milestone option native in GitHub. When a Milestone is connected across multiple repos, hover over the details text on the right of each Milestone to see what repos the Milestone belongs to.